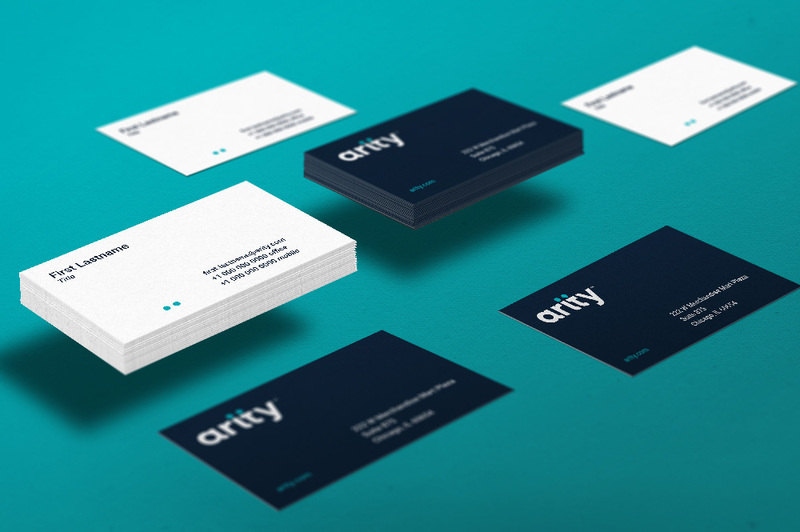 Arity’s new identity is the first manifestation of the brand. Serving to introduce the company and its unique vision, the Arity mark needed to be warm and approachable, but bold. A divergence from a category of otherwise mechanical identities. Specifically, the wordmark, with all-lowercase, bold lettering and customized letterforms, features two dots—a nod to the unexpected insights the company is uncovering and applying to revolutionize the transportation ecosystem. 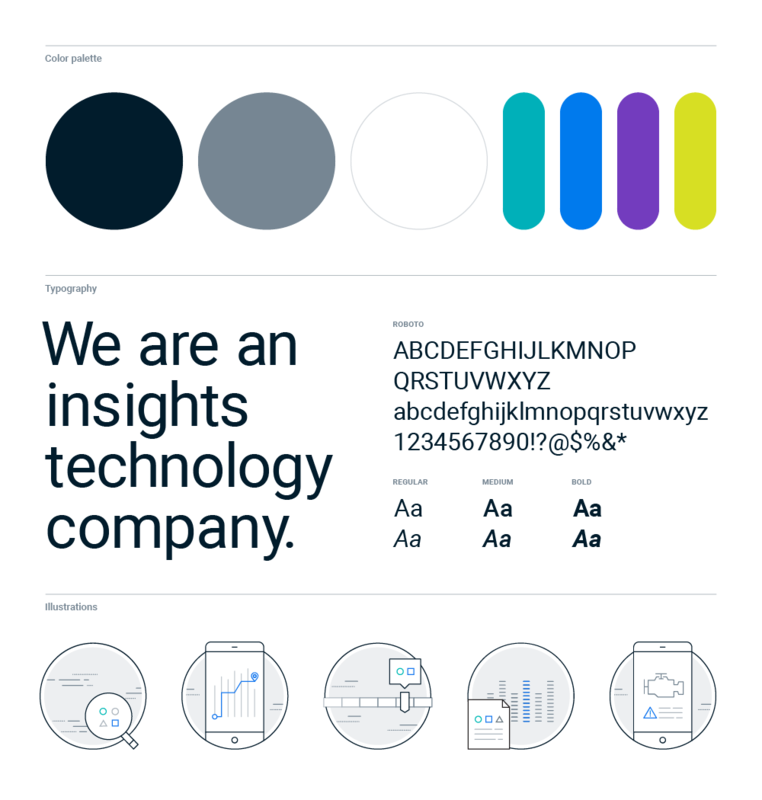 As Arity expands, the wordmark will inspire a larger brand system, supporting growth into digital and 3D platforms. The wordmark is charming and friendly with its bold structure and matching curls on the stems of the letters. The two dots read more like two people than a “nod to the unexpected insights the company is uncovering and applying to revolutionize the transportation ecosystem” as mentioned in the quote and given that it’s a company about driving insights I don’t mind the more simplistic read of a driver and a passenger than some far-fetched interpretation. Not much in application… a clean, corporate look with an attractive website as the main attraction. (Est. 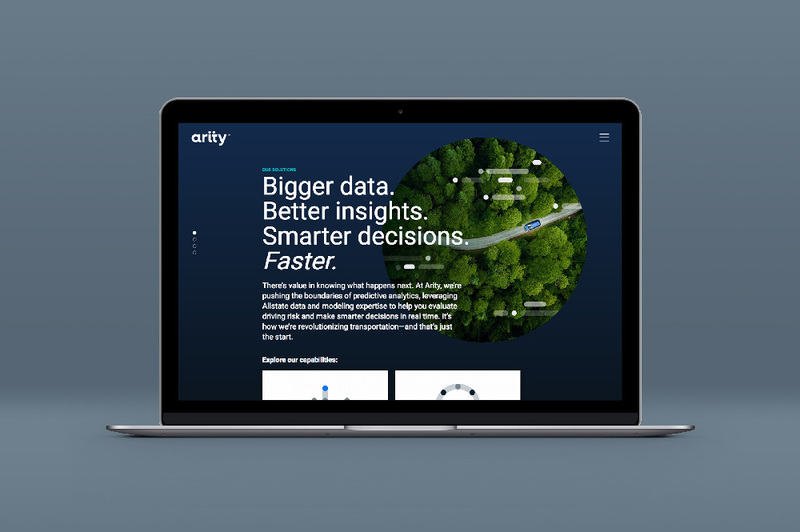 2017) \"Arity is a telematics company that transforms data into insights. Its initial product offerings leverage billions of miles of driving data and other information to generate insights and scores that help to better evaluate risk and revolutionize driver safety, connectivity and value. Arity's growing team, with offices in Allstate's Innovation Hub in Chicago's Merchandise Mart, is currently focused on bringing new technology, products and services to market that enhance the consumer driving experience and help increase safety on the road.\"